Characteristics : Max 40 W G9 HSG/F (non inclued). Cable 280 cm. 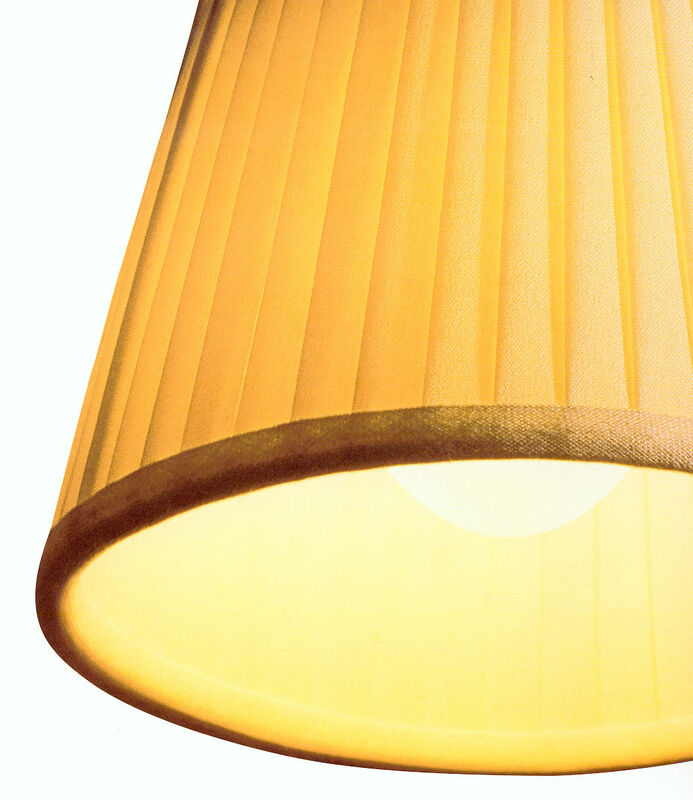 In the Romeo series of Philippe Starck for Flos, this suspension Romeo Babe is multi-usages. 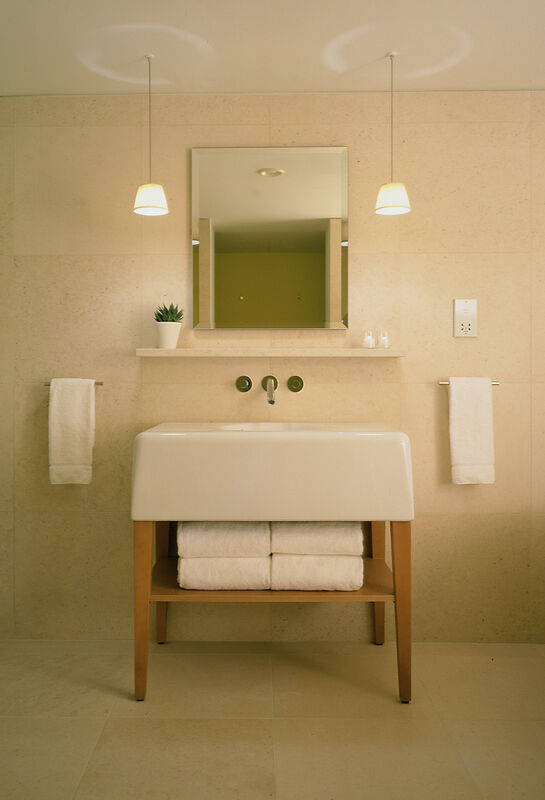 Original in the lounge, in the bedroom or in the bathroom, it creates a warm and elegant mood. We love this chic version with wrinkled clothed lampshades. Above a table high or low, as a bedside lamp, alone or grouped, diving in emptiness or going down very low, it lights up your interior of his soft and poetic light. 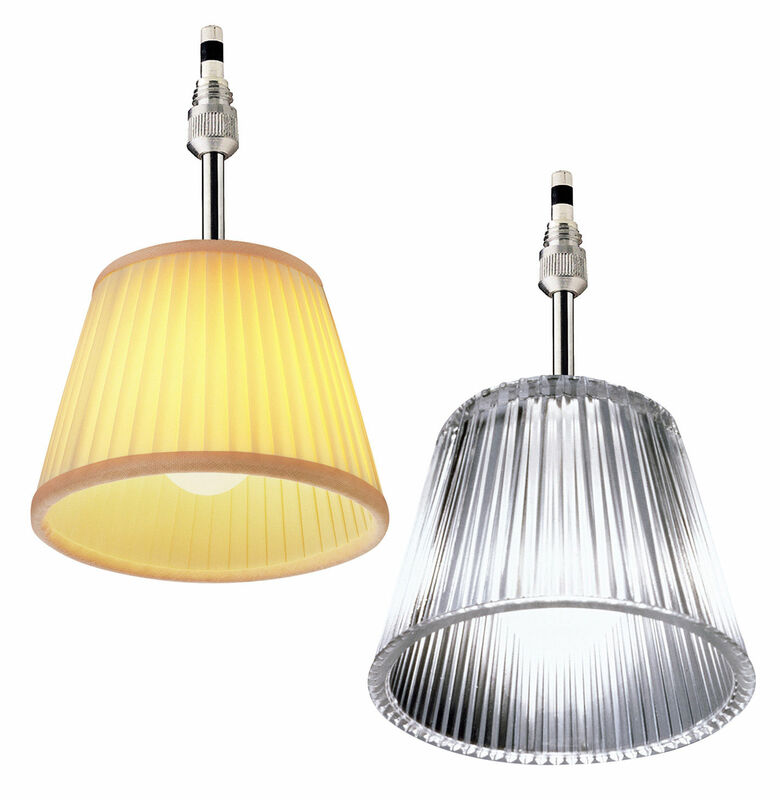 To discover also the new version with lampshades in transparent and colored metacrylate. 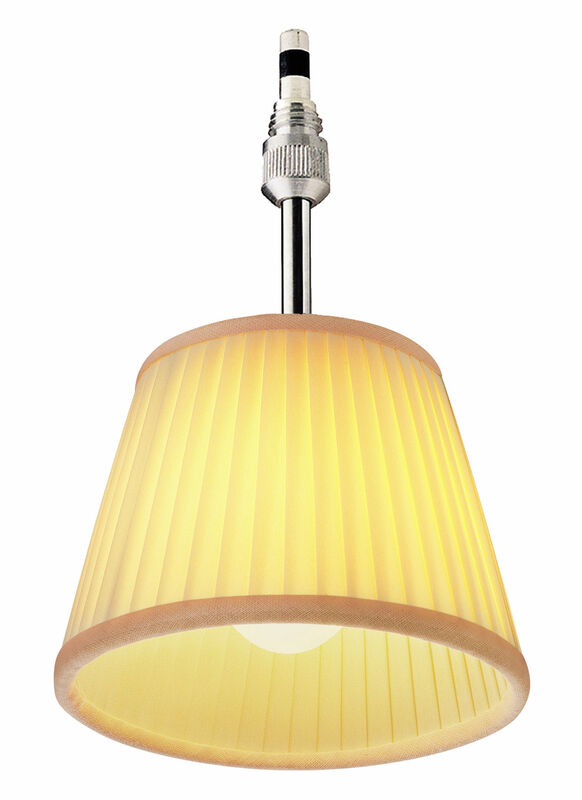 Material : Lampshade in pleated cloth.Glass internal difuser. Clear cable.